Persistently but joyfully, strive for strong Japanese language skills! Would you like to have a meaningful life in Japan with a spirit of 文遊両道(pen and 'play')! Students in this school come from many different countries such as Korea, Taiwan, Russia, China, Ukraine, Romania, Thailand, Myanmar, Vietnam, Mongolia and Australia. They study Japanese, and also enjoy themselves through experiencing Japanese culture at the same time. 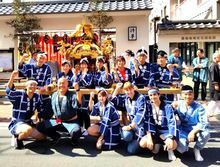 We also arrange international exchange events and excursions to help students strengthen their Japanese skills through conversation and culture experience. 'Learning' is not only limited to in-class lessons. We do all we can in supporting those who work hard for achieving their goals! 1. By doing regular examinations and daily tests, students are always aware of their level of Japanese. 2. We counsel every single student for their individual goals, and also arrange them to go to open house events of universities and colleges. We also support students who want to work in Japan, and many of our students make a successful career in Japanese companies. 3. We carry out various programs by cooperating with universities and colleges. 4. We fully support hard-working students by providing 2 scholarship programs: "Scholarship program" and "Supportship program". 5. In addition to the convenient location, we also offer school-owned dormitories, allowing students to have a safe and pleasant stay. 6. Japanese culture experience activities are held regularly, inviting professional teachers to carry out seminars of ikebana, tea ceremony, kimono and many others. 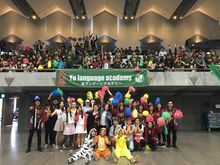 7．We organize exchange programs with the Japanese. We joined a summer festival! 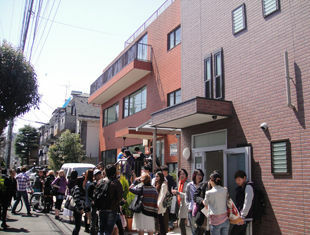 Students are arranged into classes according to their level of Japanese, with an average of about 15 students in each class. One teacher takes charge of one class throughout the year, which allows the teacher to keep a close eye on each of the students. Regular examinations and daily tests help teachers to always have a clear idea of the students' Japanese skills, which allows us to customize the curriculum for students when needed. This also helps us offer extracurricular training courses for passing the Japanese Language Proficiency Test (JLPT) and the Examination for Japanese University Admission (EJU) for International Students. ※This amount is inclusive of International Student's Health Insurance throughout the enrollment period. Students applying for a scholarship due to financial reasons will have their academic results, in-class attitude, attendance rate and a statement of reasons reviewed in June, September, December and March. JPY 100,000 will be awarded to (1) selected student. This is a system that compensates students who do part-time job training in the school's group companies. Jobs include administration, warehouse operation, cleaning and other. Depending on the type of work, interviews might be conducted to check the student's Japanese skills. Documents submitted will be reviewed. The applicant will be asked to sit an entrance examination for testing his/her level of Japanese. An interview with the financial guarantor will be conducted if necessary.